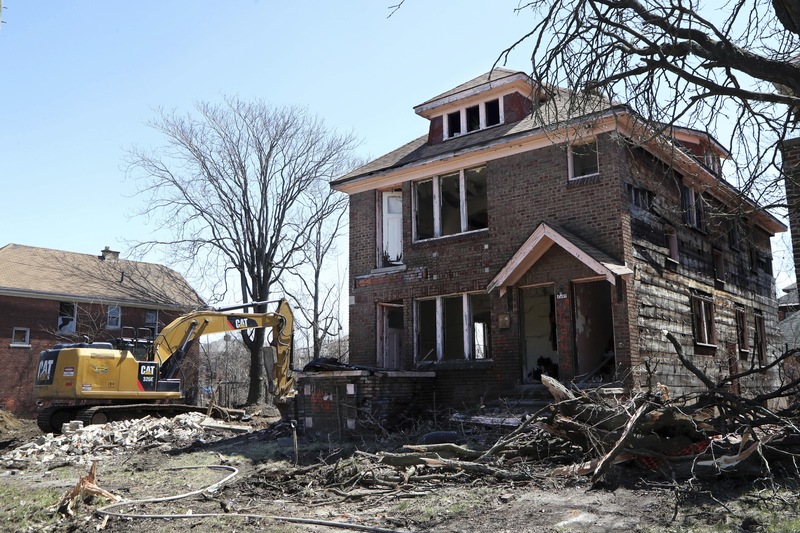 DETROIT — The nation’s largest home-demolition program, which has torn down more than 14,000 vacant houses across Detroit, may have inadvertently created a new problem by spreading lead-contaminated dust through some of the city’s many hollowed-out neighborhoods. Health officials are concerned that crushing walls covered with lead paint generates dust that can settle on nearby homes or drift through open windows, endangering families who have stayed long after their neighbors fled during Detroit’s long decline. A 2014 survey found more than 70,000 vacant houses, many of them relicts of the mass exodus from the city that began in the 1950s. Since then, Detroit’s population has plummeted from about 1.8 million to 670,000. As they decayed, the empty homes became havens for squatters, drug users and criminals. Detroit is not alone is trying to safely raze unoccupied homes. Baltimore has torn down about 2,700 vacant buildings since 2010. Detroit’s program is larger and has been awarded more than $250 million from the federal government for blight elimination. “We’re not sure if dust is getting into the home next door or if children are playing in it,” Khaldun said.